we can make connection ez! Worried about making the right kind of connection? Let our trusted cable supplies, like Legrand, Corning, PC Cable World & More, help straighten out your cabling requirements. Shop industry-professional brands like Ubiquiti Networks, Mikrotik and Netgear, offering a range of Enterprise and SOHO solutions for your business needs. View our innovative offerings from Middle Atlantic, Chief, Kanto , Peerless AV, Muxlab and Factor Electronics. 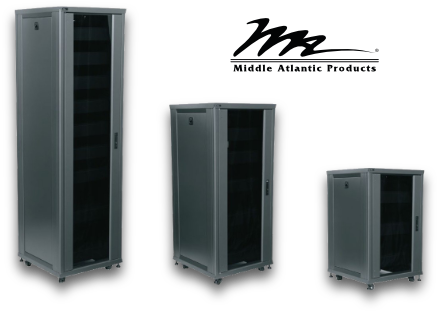 Tripp Lite and Hammond, you can be guaranteed to find a novel solution to your racking needs. See how systems like Eyesonic and Ubiquiti Security help provide an extra set of eyes on that which matters most. Ensure your connections work right, test true and can be verified with products from Platinum Tools, Greenlee and Hobbes.